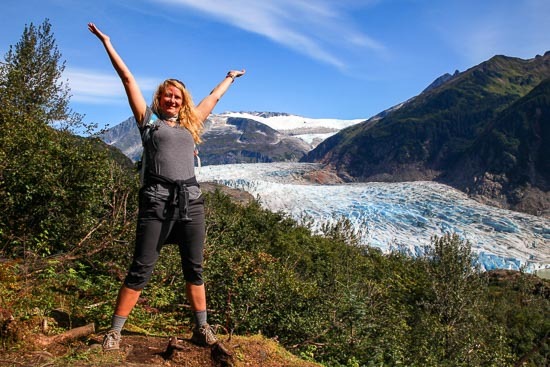 Pros: Close to downtown Juneau and better maintained than other mountain peak trails. This is the iconic local climb of Juneau. A quick run through town leading into a warmup along Gold Creek, up the Perseverance Valley, and Gold Falls before turning up the mountain. Whacking your way through Salmon Berry bushes, into old spruce, before breaking out above the tree line. This trail is a wonderful taste of the mountains surrounding the town as well as a great gateway to longer trails. The trail is partly switch back with several creek crossings, partly mud slogging, partly rock hopping, and mostly awesome. A favorite among many downtown locals, and the most rewarding short run with a well maintained trail system all the way to the top. 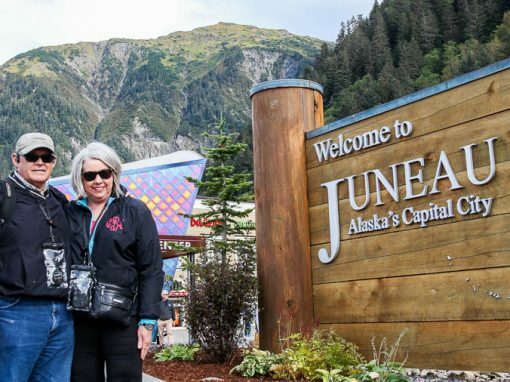 With a 3576 foot gain, Juneau does not boast as a high peak of the area, however, it does offer a greater reward than the effort needed. Without a well defined peak it can be difficult to decide where to stop. Luckily while you decide, the alpine is a great place to run into mountain goats, whistling pigs (a.k.a hoary marmots), ptarmigan, grouse, porcupines, and occasionally bears while moving to unfold a view over the Gastineau Channel, downtown, Silverbow basin, along with many peaks of the coastal range, Chilkats, and islands of the inside passage. 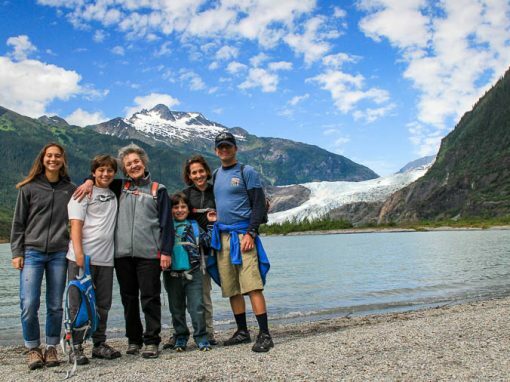 From the Perseverance trailhead, Mount Juneau is a 3 mile trip to the top. The trail has pretty reliable water sources, however, along the ridge in low snow years water can be limited. Mount Juneau trail can connect to Granite Creek Basin, Blackerby Ridge, Sheep Creek, or Mount Roberts. Only take these connection trails with experience, strength and a sense of caution. Several people have been lost and some have died. While these trails are truly rewarding, be prepared to return another day to tackle some of these beasts. Easily the best view down on Juneau and gives a whole new perspective on the mountains seen from the water. Opening up the mystery to the other side of the inside passage. This trail can make a wonderful day, rain, shine or fog.